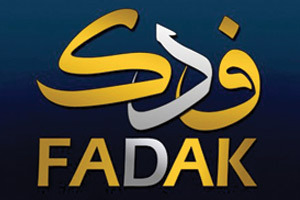 The topic of Fadak and the bigger debate on the inheritance of divine Prophets (a.s.) is among the key and earliest distinguishing points between the Shias and others. The majority claims that Hazrat Fatima Zahra (s.a.) – the Holy Prophet’s (s.a.w.a.) daughter – had no right to Fadak because Allah’s Prophets (a.s.) do not leave behind inheritance. To bolster their claim, they resort to the age-old formula of consensus (ijmaa) – meaning that the so-called Muslim majority and companions supported Abu Bakr in his claim that divine Prophets (a.s.) do not leave behind inheritance. This supposed consensus against Hazrat Fatima Zahra (s.a.) proves that Abu Bakr was right and Hazrat Fatima (s.a.) had no claim over Fadak. There are many aspects to this debate and there are several ways to prove that Abu Bakr was mistaken like on many other occasions in his life, a fact already been established by scholars of both sects; thereby establishing Hazrat Fatima’s (s.a.) indisputable claim to Fadak. We adopt another approach to this debate as suggested by a well-known Muslim scholar to prove that the argument of consensus of Abu Bakr is nullified by a similar argument in Hazrat Fatima’s (s.a.) favour. The people (companions) presume that the veracity of the so-called tradition of the Holy Prophet (s.a.w.a.) narrated by the two men, meaning Abu Bakr and Umar that – ‘We the Prophets do not leave anything as inheritance’, can be established on the basis that when this was attributed to the Prophet (s.a.w.a. ), the Muslims did not refute it – rather they accepted it. But I (Jaahiz) say to those men who think likewise that if the veracity of this ‘tradition’ is proved because the people accept it (thereby signifying consensus), then the people did not even object against the claim and the protest of Ali (a.s.) and Fatima (s.a.), and this should also be a proof of their (Ali a.s. and Fatima’s s.a.) truthfulness. No one objected to them, nor said that they were lying, even though the dispute and discussion between Fatima (s.a.) and Abu Bakr was prolonged. Their enmity reached to an extent that Fatima (s.a.) willed that Abu Bakr should not even participate in her funeral prayers. When Fatima (s.a.) approached Abu Bakr to claim her right, she demanded – When you die, who will inherit you? Abu Bakr replied – My family and my children. Fatima (s.a.) responded – How is it that we should not inherit from the Prophet (s.a.w.a. ), but your children inherit from you? When Abu Bakr prevented Fatima (s.a.) from claiming her father’s inheritance and started making excuses and when Fatima (s.a.) witnessed his cruelty and saw her own helplessness and loneliness, she rebuked Abu Bakr: By Allah! I will invoke Allah’s curse on you. Abu Bakr – By Allah! I will invoke Allah for your well-being. Abu Bakr – By Allah! I will never be away from you. Therefore, if the ‘truthfulness’ of Abu Bakr deprived Hazrat Fatima (s.a.) from her father’s inheritance can be established on the grounds that the companions did not protest against him, then it can be said that Hazrat Fatima (s.a.) was also truthful in her claim (since no one protested against her either). The least that was necessary for the Muslims was that if Hazrat Fatima (s.a) was unaware (of the rule of Islam), then they should have explained it to her, and if she had forgotten, then they should have reminded her. If her talks were baseless (we seek refuge in Allah!) or she was going astray or severing relations, then they should have rectified her by protesting. Thus, it can be concluded that if no one protested against those two men, and no one even protested against Hazrat Fatima (s.a.) – then the two parties are at par in opposing each other and no one can argue on the basis of consensus in favour of Abu Bakr (because Fatima (s.a.) can likewise claim consensus for her stand!). In this matter, we should refer to the original rules of inheritance and ordinances of Allah (in the Holy Quran) regarding the matter of inheritance, and this is the best mode to follow. Clearly, even the earliest scholars of the Ahle Tasannun were of the view that the consensus on Fadak was not a strong argument in Abu Bakr’s favour. Given that consensus can be claimed by both parties, the only way to break this deadlock is with the Holy Quran’s ordinance on inheritance. Hazrat Fatima Zahra (s.a.) herself has laid out plainly in the Sermon on Fadak that the Holy Quran has categorically stated that fathers leave inheritance for their children and even divine Prophets like Prophet Dawood (a.s.) and Prophet Zakariyya (a.s.) left inheritance for their progenies. Take lesson, O people of intellect!